We are now 2/3 through our Tarot Tuesday series, and entering the home straight. 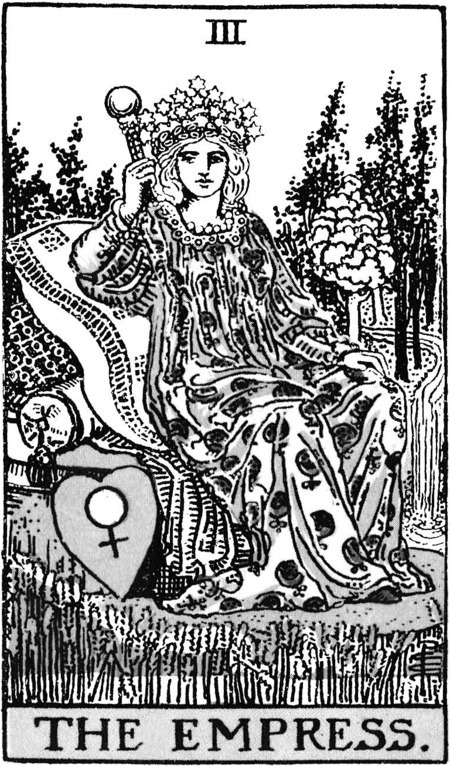 The drawn card this week is card III of the Major Arcana, The Empress. For today’s card, we visit a site in Cumbria, one of the largest stone circles in England. Imbued with the standard legend of dancers turned to stone for dancing on the Sabbath. In this case the people involved were a mother witch, Long Meg, and her daughters. Long Meg is of course the Mother figure of the monument, Fertility is displayed by the number of daughters – 59 stones at present, but possibly as many as 77 in the past – and the Abundant creativity aspect is apparent by the mysterious symbols, including cup and ring marks, a spiral, and rings of concentric circles carved into Long Meg herself. The monument consists of 59 megalithic stones arranged in an oval shape measuring 100 meters on its long axis. Long Meg is the tallest and most famous stone in the monument, measuring 12.5 feet (3.8) meters in height and situated 109 yards (25 meters) outside the circle positioned towards the southwest, where (when standing in the center of the circle) the midwinter sun would have set. 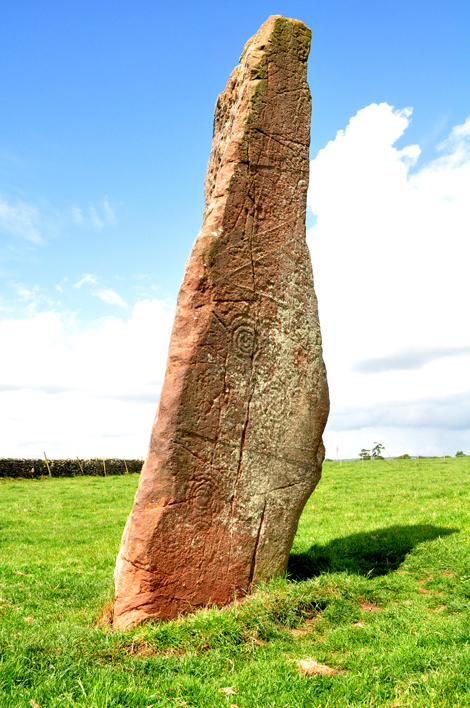 Definitely need to pay Long Meg a visit! « Farmer Brown: you’ll only get your property if you’re dead.